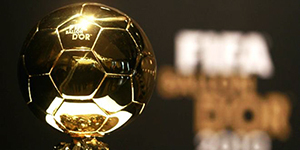 The user Tom Stevens, from BigSoccer community, did an impressive work on the creation of lists of 23 players who, according to his opinion, were the best footballers of each year from 1920 onwards, thus emulating those presented by the prestigious prize of the French Magazine France Football, the Ballon d'Or, about a group of nominees. The most interesting thing is that these are world-inclusion lists (not only refer to Europe) and take into account the regular season's period and not the chronological years, which differentiate them and give us a glimpse of the footballing elite year by year from long before. Unfortunately, the author stopped doing them in the 1994 year, that's the reason why from 1995 the lists will be my own in order to complete the document. * His podium: 1st Fred Morris, 2nd Karel Pesek and 3rd Ángel Romano. * His podium: 1st Karel Pesek, 2nd György Orth and 3rd Arthur Friedenreich. * His podium: 1st Andy Wilson, 2nd Paulino Alcántara and 3rd Manuel Seoane. * His podium: 1st Charlie Buchan, 2nd Héctor Scarone and 3rd József Braun. * His podium: 1st José Leandro Andrade, 2nd Pedro Petrone and 3rd Billy Walker. * His podium: 1st Hughie Gallacher, 2nd Héctor Scarone and 3rd Josep Samitier. * His podium: 1st Alex Jackson, 2nd José Leandro Andrade and 3rd Ferenc Hirzer. * His podium: 1st Hughie Gallacher, 2nd Dixie Dean and 3rd Karel Pesek. * His podium: 1st Dixie Dean, 2nd Alex Jackson and 3rd Adolfo Baloncieri. * His podium: 1st Alan Morton, 2nd Ricardo Zamora and 3rd Manuel Ferreira. * His podium: 1st Giuseppe Meazza, 2nd István Avar and 3rd José Nasazzi. * His podium: 1st Raimundo Orsi, 2nd Alex James and 3rd Matthias Sindelar. * His podium: 1st Matthias Sindelar, 2nd Bernabé Ferreyra and 3rd Raimundo Orsi. * His podium: 1st Matthias Sindelar, 2nd Cliff Bastin and 3rd Luis Monti. * His podium: 1st Giuseppe Meazza, 2nd Oldrich Nejedly and 3rd Eric Brook. * His podium: 1st Raymond Braine, 2nd Ted Drake and 3rd György Sárosi. * His podium: 1st Matthias Sindelar, 2nd Giuseppe Meazza and 3rd Raich Carter. * His podium: 1st György Sárosi, 2nd Arsenio Erico and 3rd José Manuel Moreno. * His podium: 1st Arsenio Erico, 2nd Leónidas and 3rd Silvio Piola. * His podium: 1st Arsenio Erico, 2nd Gyula Zsengellér and 3rd Tommy Lawton. * His podium: 1st Leónidas, 2nd Josef Bican and 3rd Emilio Baldonedo. * His podium: 1st José Manuel Moreno, 2nd Atilio García and 3rd Franz Binder. * His podium: 1st José Manuel Moreno, 2nd Adolfo Pedernera and 3rd Obdulio Varela. * His podium: 1st Severino Varela, 2nd Zizinho and 3rd Antonio Sastre. * His podium: 1st Zizinho, 2nd Carlos Sosa and 3rd Mundo. * His podium: 1st Rinaldo Martino, 2nd Norberto Méndez and 3rd Ademir. * His podium: 1st René Pontoni, 2nd Rinaldo Martino and 3rd Raich Carter. * His podium: 1st José Manuel Moreno, 2nd Valentino Mazzola and 3rd Wilf Mannion. * His podium: 1st Stanley Matthews, 2nd Gunnar Gren and 3rd Valentino Mazzola. * His podium: 1st Ademir, 2nd Ferenc Deák and 3rd Norberto Méndez. * His podium: 1st Ademir, 2nd Ferenc Puskás and 3rd Gunnar Nordahl. * His podium: 1st Gunnar Nordahl, 2nd Faas Wilkes and 3rd Jair. * His podium: 1st László Kubala, 2nd Ferenc Puskás and 3rd Sándor Kocsis. * His podium: 1st Ferenc Puskás, 2nd Nándor Hidegkuti and 3rd Raymond Kopa. * His podium: 1st Sándor Kocsis, 2nd Fritz Walter and 3rd Juan Alberto Schiaffino. * His podium: 1st Ferenc Puskás, 2nd Alfredo Di Stéfano and 3rd Juan Alberto Schiaffino. * His podium: 1st Alfredo Di Stéfano, 2nd Raymond Kopa and 3rd Igor Netto. * His podium: 1st Alfredo Di Stéfano, 2nd Didi and 3rd Antonio Angelillo. * His podium: 1st Didi, 2nd Raymond Kopa and 3rd Pelé. * His podium: 1st Pelé, 2nd Alfredo Di Stéfano and 3rd José Sanfilippo. * His podium: 1st Ferenc Puskás, 2nd Omar Sívori and 3rd Lev Yashin. * His podium: 1st Pelé, 2nd Omar Sívori and 3rd Garrincha. * His podium: 1st Garrincha, 2nd Pelé and 3rd Josef Masopust. * His podium: 1st Pelé, 2nd Gianni Rivera and 3rd Jimmy Greaves. * His podium: 1st Pelé, 2nd Luis Suárez and 3rd Denis Law. * His podium: 1st Eusébio, 2nd Pelé and 3rd Luis Suárez. * His podium: 1st Bobby Charlton, 2nd Eusébio and 3rd Alberto Spencer. * His podium: 1st Jimmy Johnstone, 2nd Flórián Albert and 3rd Pedro Rocha. * His podium: 1st George Best, 2nd Dragan Dzajic and 3rd Juan Ramón Verón. * His podium: 1st Luigi Riva, 2nd Gianni Rivera and 3rd Tostao. * His podium: 1st Jairzinho, 2nd Gerd Müller and 3rd Tostao. * His podium: 1st Johan Cruyff, 2nd Luis Artime and 3rd George Best. * His podium: 1st Johan Cruyff, 2nd Günter Netzer and 3rd Gerd Müller. * His podium: 1st Johan Cruyff, 2nd Gerd Müller and 3rd Miguel Ángel Brindisi. * His podium: 1st Johan Cruyff, 2nd Franz Beckenbauer and 3rd Kazimierz Deyna. * His podium: 1st Elías Figueroa, 2nd Oleg Blokhin and 3rd Norberto Alonso. * His podium: 1st Elías Figueroa, 2nd Roberto Rivellino and 3rd Franz Beckenbauer. * His podium: 1st Reinaldo, 2nd Kevin Keegan and 3rd Johan Cruyff. * His podium: 1st Mario Kempes, 2nd Rob Rensenbrink and 3rd Paolo Rossi. * His podium: 1st Diego Maradona, 2nd Kevin Keegan and 3rd Zico. * His podium: 1st Diego Maradona, 2nd Zico and 3rd Karl-Heinz Rummenigge. * His podium: 1st Zico, 2nd Diego Maradona and 3rd Karl-Heinz Rummenigge. * His podium: 1st Zico, 2nd Gaetano Scirea and 3rd Paulo Roberto Falcao. * His podium: 1st Paulo Roberto Falcao, 2nd Michel Platini and 3rd Kenny Dalglish. * His podium: 1st Michel Platini, 2nd Ian Rush and 3rd Enzo Francescoli. * His podium: 1st Michel Platini, 2nd Diego Maradona and 3rd Claudio Borghi. * His podium: 1st Diego Maradona, 2nd Careca and 3rd Gary Lineker. * His podium: 1st Diego Maradona, 2nd Hugo Sánchez and 3rd Ruud Gullit. * His podium: 1st Ruud Gullit, 2nd Ronald Koeman and 3rd Marco van Basten. * His podium: 1st Marco van Basten, 2nd Lothar Matthäus and 3rd Diego Maradona. * My podium: 1st Lothar Matthäus, 2nd Diego Maradona and 3rd Franco Baresi. * My podium: 1st Dejan Savicevic, 2nd Lothar Matthäus and 3rd Jean-Pierre Papin. * My podium: 1st Michael Laudrup, 2nd Marco van Basten and 3rd Hristo Stoichkov. * My podium: 1st Roberto Baggio, 2nd Michael Laudrup and 3rd Dennis Bergkamp. * My podium: 1st Romário, 2nd Roberto Baggio and 3rd Hristo Stoichkov. * My podium: 1st Jari Litmanen, 2nd Michael Laudrup and 3rd Jürgen Klinsmann. * My podium: 1st George Weah, 2nd Jari Litmanen and 3rd Matthias Sammer. * My podium: 1st Ronaldo, 2nd Gianfranco Zola and 3rd Davor Suker. * My podium: 1st Ronaldo, 2nd Zinedine Zidane and 3rd Dennis Bergkamp. * My podium: 1st Rivaldo, 2nd David Beckham and 3rd Gabriel Batistuta. * My podium: 1st Zinedine Zidane, 2nd Luís Figo and 3rd Francesco Totti. * My podium: 1st Luís Figo, 2nd Raúl and 3rd Zinedine Zidane. * My podium: 1st Zinedine Zidane, 2nd Roberto Carlos and 3rd Oliver Kahn. * My podium: 1st Thierry Henry, 2nd Pavel Nedved and 3rd Zinedine Zidane. * My podium: 1st Thierry Henry, 2nd Ronaldinho and 3rd Andriy Shevchenko. * My podium: 1st Ronaldinho, 2nd Frank Lampard and 3rd Adriano. * My podium: 1st Ronaldinho, 2nd Thierry Henry and 3rd Fabio Cannavaro. * My podium: 1st Kaká, 2nd Cristiano Ronaldo and 3rd Lionel Messi. * My podium: 1st Cristiano Ronaldo, 2nd Lionel Messi and 3rd Fernando Torres. * My podium: 1st Lionel Messi, 2nd Xavi and 3rd Andrés Iniesta. * My podium: 1st Lionel Messi, 2nd Xavi and 3rd Wesley Sneijder. * My podium: 1st Lionel Messi, 2nd Cristiano Ronaldo and 3rd Xavi. * My podium: 1st Lionel Messi, 2nd Cristiano Ronaldo and 3rd Andrea Pirlo. * My podium: 1st Lionel Messi, 2nd Cristiano Ronaldo and 3rd Franck Ribéry. * My podium: 1st Cristiano Ronaldo, 2nd Lionel Messi and 3rd Arjen Robben. * My podium: 1st Lionel Messi, 2nd Cristiano Ronaldo and 3rd Neymar. * My podium: 1st Luis Suárez, 2nd Lionel Messi and 3rd Cristiano Ronaldo. * My podium: 1st Lionel Messi, 2nd Cristiano Ronaldo and 3rd Luka Modric. * My podium: 1st Lionel Messi, 2nd Mohamed Salah and 3rd Kevin De Bruyne. Publicado por Glavisted a la(s) 6:14 p. m.
I am glad you continued with Tom Stevens's yearly Top23. I especially like that you selected your Top3 between 1990 and 1995. However, it seems in some years you have changed your opinion since publishing your "Mejor Futbolista del Año" series. Do not you plan to revise that series (from 1911)? Or do you always agree with Tom's Top 3 selections between 1920and 1989? Well, the main difference between both themes is this takes into account the period of the seasons and that the chronological years. That explains for the most part, although I must update the article "Mejor Futbolista del Año" before long. I don't agree with all the selections of Tom Stevens to 100%, but I think he has solid reasons for each one and I prefer to respect his work without making any change there. Zinedine Zidane won the Ballon d'Or, FIFA World Player of the Year and Onze d'Or in 1998 (all awards for the chronological year). In this exercise I chose Ronaldo as the best player in the 1998 list over him (corresponding to the 1997-98 season). I'm about to publish the 2016 list. Very good choice of 2018. Only that Cristiano Ronaldo deserved to be on the podium instead of Kevin De Bruyne. And in my opinion, Agüero and Rakitic are missing.